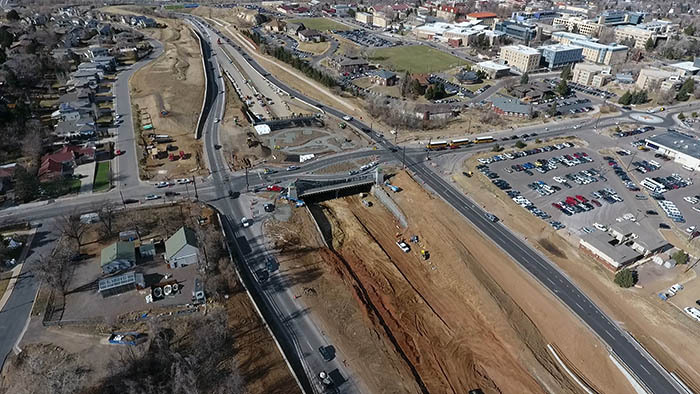 Construction began on the long awaited intersection of US 6 and 19th Street on February 8, 2016 and completed in late 2017. 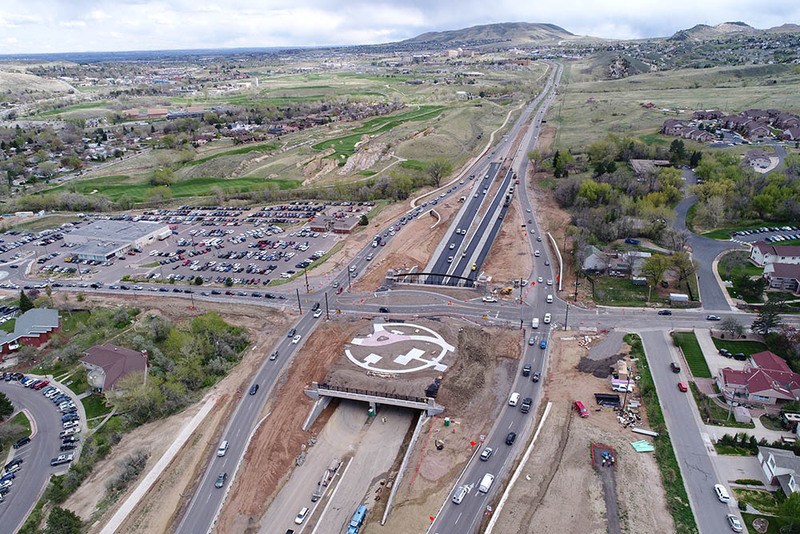 The City of Golden partnered with the Colorado Department of Transportation (CDOT) to make the project come to fruition. 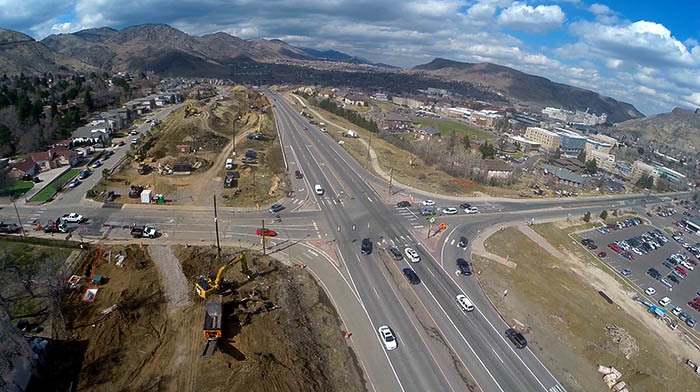 CDOT is in charge of most of the major road construction projects on highways throughout Colorado, so you can imagine that this project is not one of their largest. However, for us here in Golden, this was a big fish in our small pond. The US 6 & 19th Street project was named “Linking Lookout” so anywhere you see those two words, you’ll find information on the project. 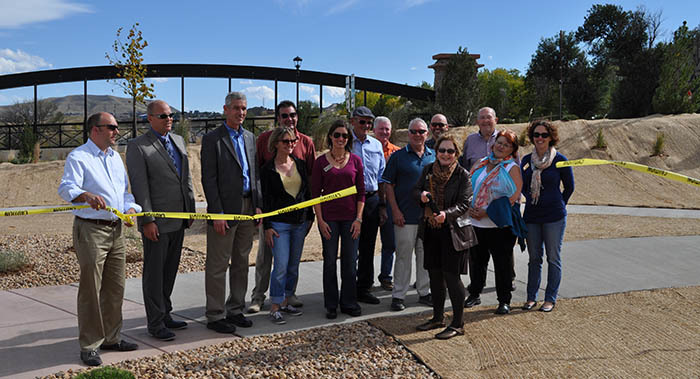 Linking Lookout was chosen to represent what the project is now bringing to our community… a beautiful and user-friendly path between downtown Golden and the communities at the base of Lookout Mountain. In essence, we are “linking” Golden to Lookout to help bikers, pedestrians and cars cross over US 6 safely without hindering the flow of traffic. Delay time for all vehicles going through the intersection has been reduced by 90%. Looking at peak hour at US6 & 19th Street, delay has been reduced by 19.6 hours in the morning and 54.97 hours in the afternoon. The conditions at Elm were also studied with a reduction of 1.47 hours in the morning and 0.91 hours in the afternoon. One important thing to note is the existing delay is much better, but the pedestrian crossing 19th Street volumes at Elm affect delay. If volumes increase, that will add to delay. This is something that should be considered when designing any improvement on the CSM property to the south. We have a total for AM and PM delays for both intersections. The time saved during the peak times each day is an impressive 77 hours. This includes the time lost (new delays) for neighborhood residents going westbound on 19th Street that have to use the roundabout to access westbound US 6. This is why avoiding a traffic signal was so important to overall performance. And, it’s open! The ribbon has officially been cut on the Linking Lookout project! US 6 under the lid is now open as of June 8, 2017! Watch the Interchange function with traffic projected in 2035. Throughout the planning process, we worked hard to gather community input. We hosted many open houses to review plans and get feedback. 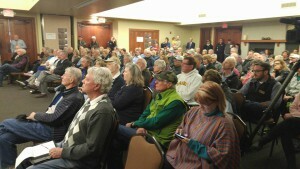 Just before groundbreaking, the City hosted a community meeting to explain the project in its entirety. If you missed the meeting, you can watch it by going to the Community Meetings page. Also, check out the FAQ page, which answers all of the questions asked by the public.